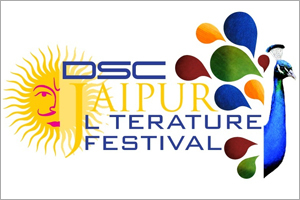 The DSC Jaipur Literature Festival, Asia’s leading literature event is starting from 24th-28th Jan’13 at Diggi Palace, Jaipur. It encompasses a range of activities in the areas of film, music and theatre and promises a rare and exciting experience for people from all walks of life. To add more enthusiasm and glitz to it, a friendly cricket match is being organized between leading authors coming to the DSC Jaipur Literature Festival and the Royals XI, comprising of few players, team management and esteemed personalities on 23rd January between 2 and 5 pm. Sreesanth, Ashok Menaria, Ajit Chandela, Dishant Yagnik, Raghu Iyer, Shashi Tharoor, Tarun Tejpal andLakshya Raj Singh Mewar are among the eminent players constituting the Royals XI team. The Authors XI team includes prominent names such as Richard Beard, Sam Carter, Nicholas Hogg, James Holland, Tom Holland, Anthony McGowan, Anosh Irani, Alex Preston and Charlie Campbell, the captain of the team. As a new fixture in the annual event at Jaipur, the match is open to the public at no cost and has been set to keep the festival fervor at the highest levels. Next Post Get enthralled with Musical extravaganza at DSC Jaipur Literature Festival 2013!